It is obvious I love this shoe. Why, is a good topic and also what I would want to improve in my favourite shoe? In limited edition blue CAMO. I first saw this shoe online at the beginning of my minimalist adventure. It fit the bill, zero drop, low stack height and with a focus on natural running. What I noticed most was the look. How cool could it be? Goat leather and sheep lining, hello! I was a keen cyclist still at the time and Rapha make gloves from the same material, I knew it was good. I read a few reviews and it was obviously a premium product from a fledgling company. Even better. 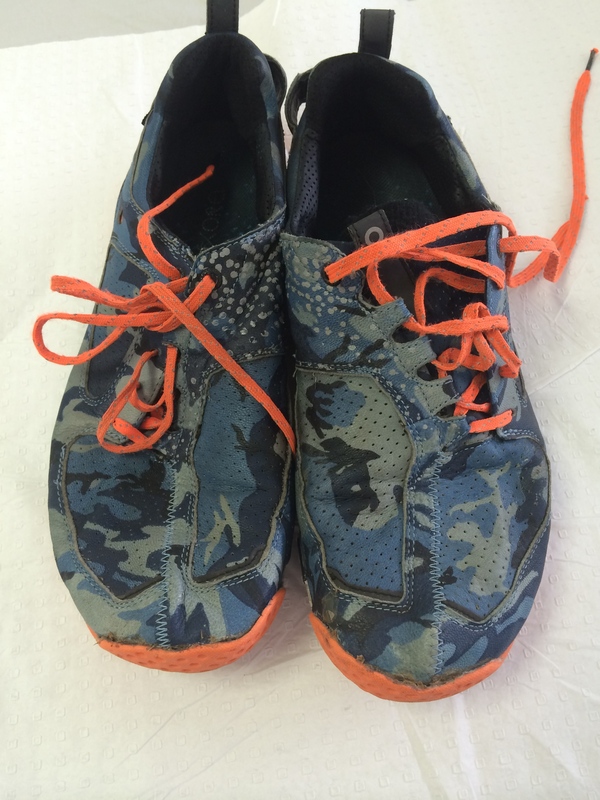 The cost was steep for running shoes but nothing on anything in the cycling world and I am not easily put off by cost. Of the three Forms I have bought since, none have disappointed me. I love the supple leather, the design and the very natural feel they give. You are essentially running with no gizmos and the shoe is just protecting your feet from abrasions and a little impact. This is not an insult, but it’s like running in Dunlop Volleys, except they are flexible, fit and wont give you blisters. Who else has sheep skin lining??? Huh??? 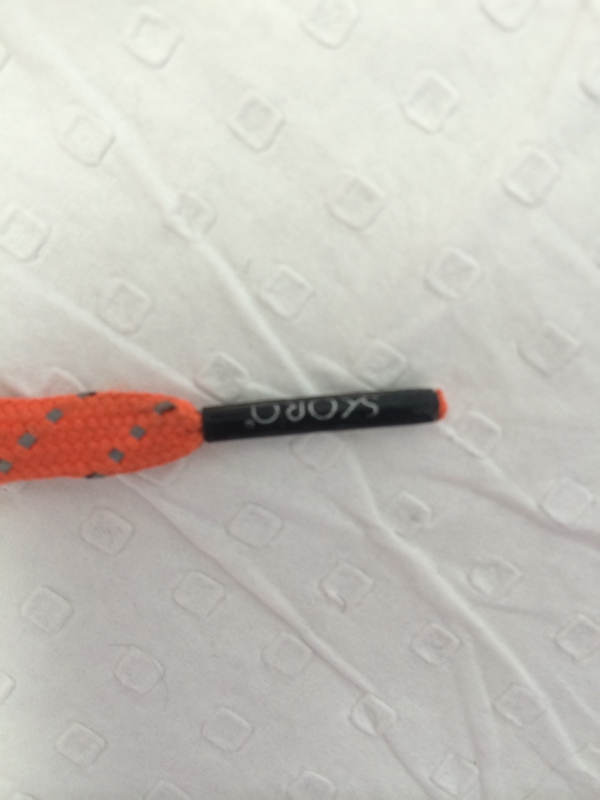 The tongue and lacing is very cool, off to the side and one of those design features that ‘disappear’. A good thing. The sole rubber is long wearing and even a person like me gets at least 400km before I start to think about a worry, they can be worn some more, 400km more! Some others get 1000+ km a pair. I have a nasty habit of scuffing the lateral aspect of all my shoes. There is a round heel just like your foot, sensible. Round heel and adjusting straps. You can use them for anything, road, grass, trails (only very rough trails will be too much as there is no rock plate) the 13mm stack earns big all rounder points. So the cons? Skora have a long lace fetish, it is in every review, they are always too long. Way too long. This is made up for in part by the neat logo on the ends, a nice touch but please, make them shorter!!!! 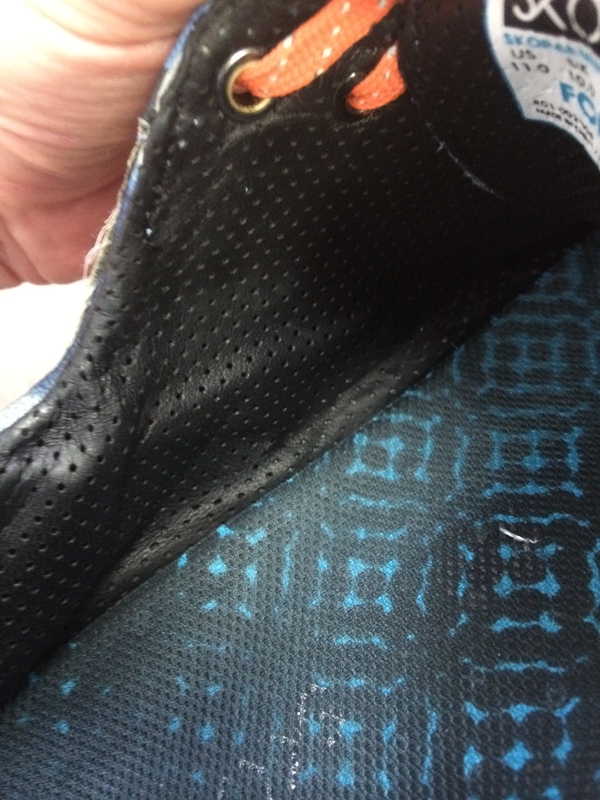 There is a tab at the heel to adjust the fit at the rear? I don’t know, it is sort of useful making the shoe 1/4 of a size in each direction but it could either be more effective or deleted. The sole was not very well glued in earlier models. The toe can peel off. I have glued one toe cap back on. Easy and I think it’s my trail running that does this. 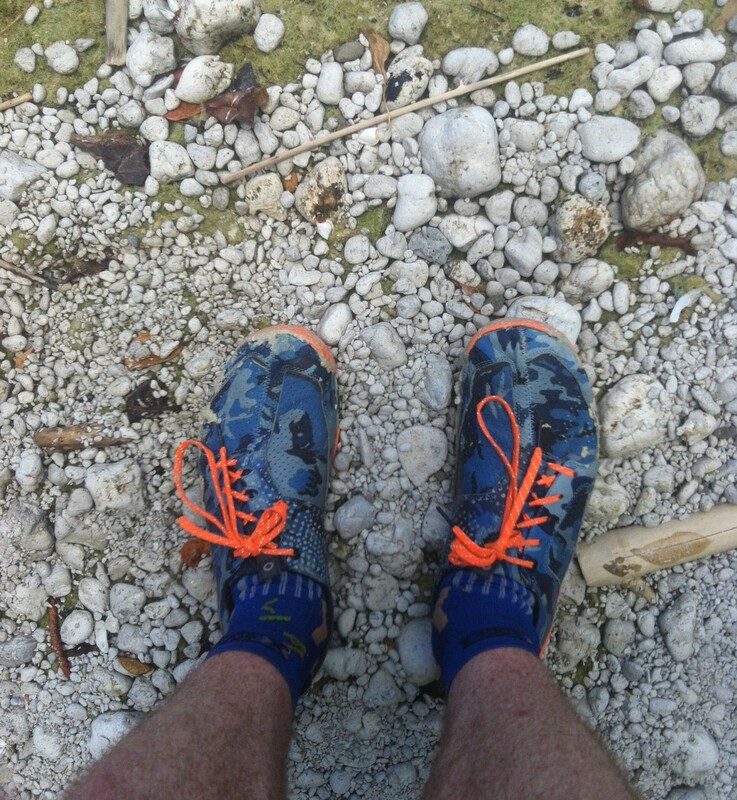 It is brutal on all shoes and at the time I was in New Caledonia running of VERY rough stuff. I think the rear heel area is over done, too much material and could safely be pared back. While leather is snug, long lasting and pretty, it is not mesh. So, as a Queenslander who does some sandal running too, these are my hottest shoes. Small niggles for such a stylish, sensible, multi purpose shoe. They even look cool enough for casual wear, bugger that, Form-al wear! I will keep buying these suckers, I love them. You could do much much worse than owning a couple of pairs of Forms and nothing else. Do your self a favour, check out Skora’s web page. 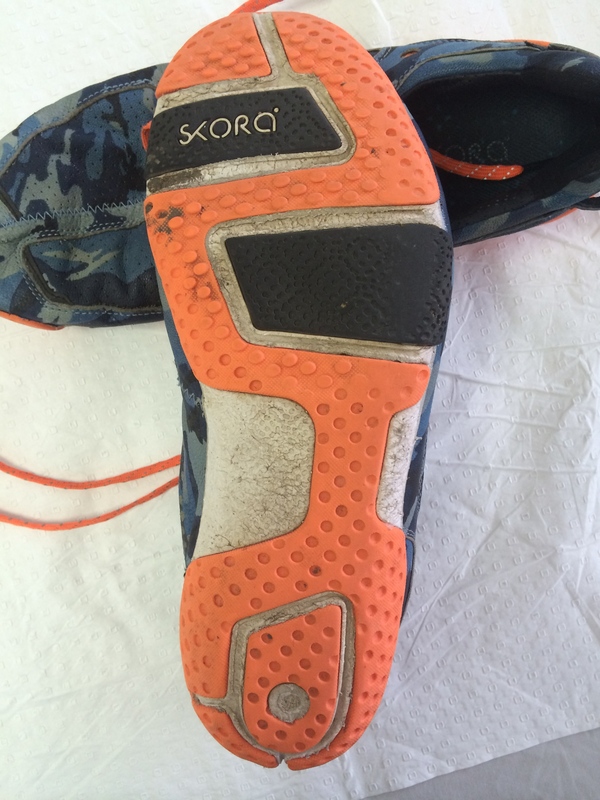 This entry was posted in Gear reviews, Running links and tagged minimalist running, Runreal, Skora, Skora Form Review. Bookmark the permalink. 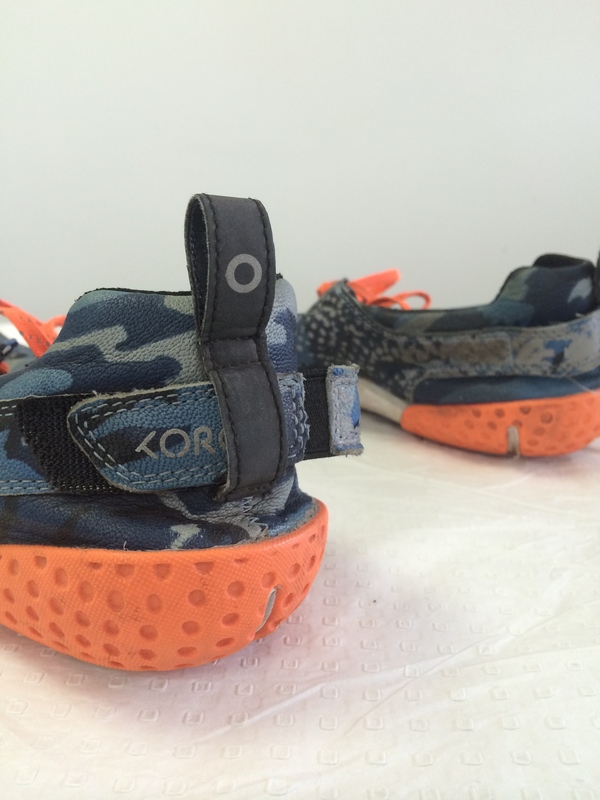 ← Inov8 Race Ultra Vest 2014-Update.